This promises to be a shorter-than-average rant as there is only so much one can whinge about on the subject of the dreaded sports shop. You can, however, rest assured that I will give it my very best shot. It was by accident rather than design that I ended up spending a unpleasantly large chunk of my Sunday afternoon in what is quite probably the most hideous shop on the high street. The plan was to hire bikes (those big clunky ‘Boris-style’ monstrosities that have recently popped up on orange stands all over town) and embark upon a lovely wholesome and healthy cycle along the canal. Alas, it was not to be. 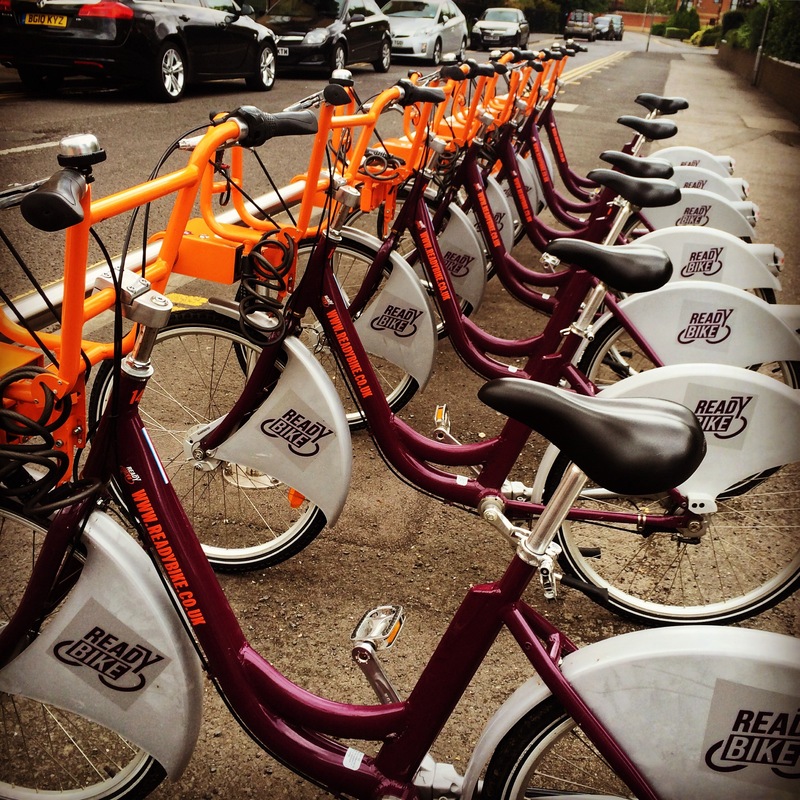 We overcame the initial administrative obstacles – the BF regrettably realised that one has to register for the scheme in order to utilise these bikes of doom (I was all ready with my “Oh no, how annoying, I guess we’ll have to sign up during the week and cycle next weekend instead. I guess we could just walk to the pub this afternoon…” spiel), so we had no excuses. My brakes didn’t work. As in, didn’t work at all. Now, I’m not going to lie to you, I was not intending to reach high speeds at any point during the day. However, as the sort of cyclist who travels along with her hands poised constantly above the breaks, regardless of incline, this did not bode well. Especially given the fact that as I gave away my helmet a few months ago (naively hoping I wouldn’t ever be needing it ever again), my head was helmet-less and hence horribly unprotected. The Expert offered to swap, but as he had ill-advisedly chosen a bicycle with bird dirt all over the handles, I politely declined. They were really really hard to steer (“overly large turning circle” or some other technical jargon according to The Expert). I don’t ask for much, but when I’m cycling along a tow path with a murky canal to my left, ominous-looking nettle-beds to my right, and un-tethered dogs running amok every which way, the ability to steer is pretty high up there on my list of priorities. Did I mention how HEAVY they were? When I threw mine down in a huff and demanded we turn round (around mile two – I did fairly well in my opinion – that was a four mile round trip), it was really difficult to pick the stupid thing up again – not easy to strop as you struggle to lift something so unyielding from a sea of nettles. The only piece of apparatus that was even remotely efficient was the extremely loud bell that each bike was equipped with. The novelty of this quickly wore off as I rang it in order to wobble past the same group of pedestrians for the third in ten minutes (every time I stopped to let a proper cyclist pass, the walkers would overtake me in the time it took me to get the tonne-weight-on-wheels moving again). In retrospect, it’s probably a blessing for all canal-users that we didn’t even make it as far as the first pub. a) There were a lot of daylight hours, it being the longest day of the year (depressing thought of the day: mornings and evenings are only going to get darker from this day forward), and I simply can’t cycle that far (even when in possession of a decent bike). b) The first pub is only 4 miles along the canal. Alas, we didn’t even make it that far. In retrospect, I should have pushed myself – 4 miles is definitely do-able and it would have been totally acceptable to ask The Expert to expertly cycle one bike back post-pintage, return on foot and then repeat the journey aboard the second one. Meanwhile, I could have lingered over my ale and stumbled back merrily on foot. Being the glutton for punishment that I am, we decided instead to kill some time in town. Namely, in the sports shop from hell. Where do I even start? Should I begin by describing the truly dreadful can’t-hear-yourself-think booming music (whichever genre it fell into, it wasn’t a shining example of it)? Or would I be better to mention just how many people were crowded into the limited space of the shop? I could elaborate and give statistics pertaining to the number of screaming children, varieties of cheap aftershave, buggies, double buggies, entire families wearing matching tracksuits shouting across the shop at each other, brats aboard scooters, etc. present. I could also note the ratio of potential customers to shop assistants (approx. 734,000:1). So why didn’t I just leave? 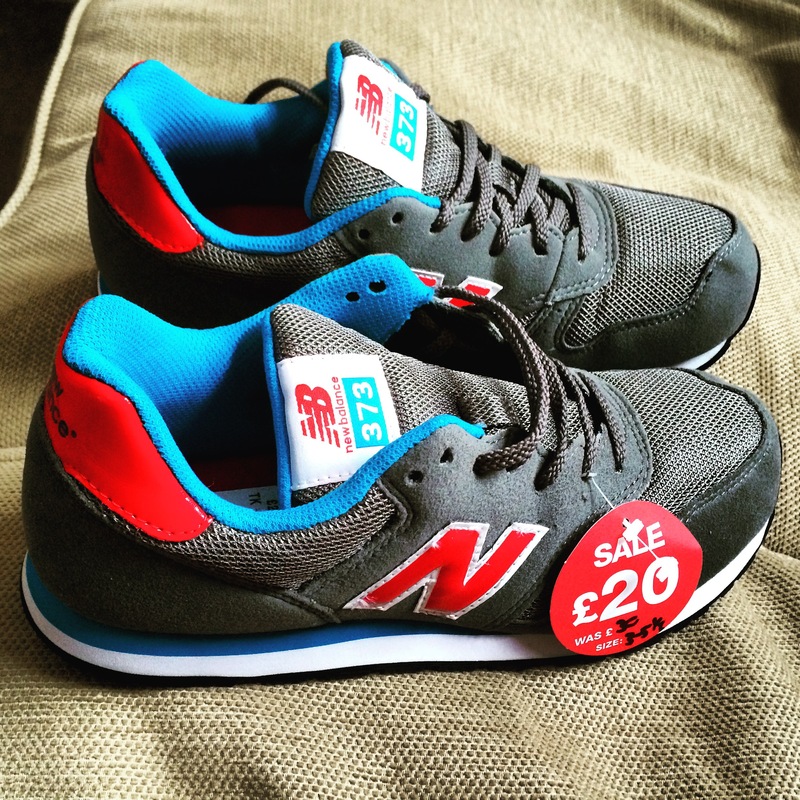 Well, after successfully navigating the badly-positioned racks of luminous sports attire (not to mention the sticky-faced children sitting on the floor, the abandoned trainer boxes, and the odd rogue coat hanger), I actually found a pair of trainers I wanted to buy. Not only were they rather nice, but they were also in my size, in the sale, and apparently ‘child-sized’ and hence accordingly priced! Believe it or not, I can be rather stubborn when the mood takes me. So, despite the fact that it would have been far easier to give up and make a desperate dash for the door, tenacity prevailed and I decided that I would stick it out, regardless of my increasing discomfort. I would have those trainers! Someone of a less bull-headed nature, perhaps possessing a little less dogged determination, might have given up upon waiting in a lengthy checkout queue, only to be told it was imperative I speak to someone on the shop floor. Or traversing the obstacle course back to the trainer department, single shoe in hand, only to discover that the one member of staff assigned to Sunday afternoon trainer-duty had gone AWOL (presumably hiding and crying in the stockroom and praying for 5 o’clock). Or finally homing in on the member of staff (after a few false starts – lots of the shoppers were dressed rather like the staff) only to be unceremoniously shoved out of the way by a pack of circling mothers, all piling tiny trainers into the arms of the teenage shop-worker and demanding that they get served first. Not me, I stood my ground – even when the sales assistant muttered the immortal line “No, sorry, we don’t have those in your size”… Ha! Well actually yes, yes you do because I am holding the left one in my hand! Now run along and fetch it for me, I don’t mind if you take some time out to sit and rock for a few minutes in the store room (you can rest assured I’d be doing the same), please just make sure you return before it gets dark. After what felt like about 17 hours, I could see my bounty (at the bottom of a towering pile of boxes) and made to retrieve it and hotfoot it to the till – the final obstacle on my bid for freedom (or, so I thought…). The assistant refused to relinquish the box and something of a battle ensued… Apparently, the only way I was allowed to buy these trainer was if he took them to the till himself (which, he would do shortly, he promised, just as soon as he’d served the rest of the people milling around brandishing shoes and yelling requests for half sizes and alternate colour-ways). I would have screamed if I had thought anyone would have been able to hear me. I was so enraged by the time I actually got to pay that I wasn’t even in the right frame of mine to point out that 80% off something originally costing £59.99 does not make it now £24 (as per one of the posters). I really can’t have been feeling myself. To top it all off, I then had to walk about for the remainder of the afternoon sporting a bright yellow bag (one of those ones with a horrible cord that digs into your shoulder as opposed to a nice practical set of handles) leaving nobody in any doubt as to my classy shopping habits. Next weekend, I am neither cycling, nor shopping, and that is a veritable FACT! The perks of possessing small feet.